The history of survival is as old as the history of mankind. Early man had a constant struggle to survive. There weren’t a group of people known as “preppers” or “survivalists” – everyone was a survivalist. If you weren’t, you didn’t make it through the next winter. 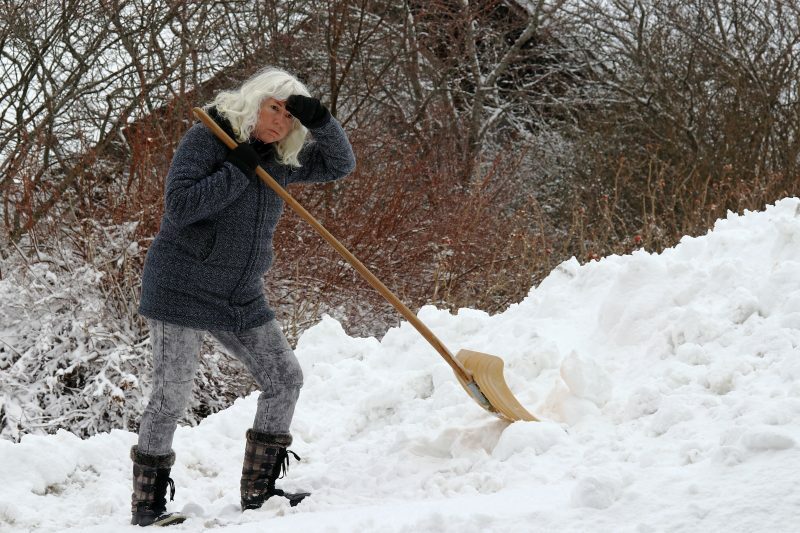 Winter has historically been one of the biggest survival challenges our ancestors faced. While we don’t have the same struggles much in modern society, American pioneers who hadn’t had a good harvest and didn’t have their home chinked against the cold winter wind were going to have a rough time making it through till spring. Even those who did had to put a lot of special effort into keeping themselves warm. Part of the problem was that homes in that era weren’t made as well as homes today. They didn’t have R-16 insulation in the walls and R-30 in the attic. There was no forced-air heating, and the gas to run that heater didn’t come to them through pipes buried in the ground. The fireplace or stove only warmed the main living area of most homes, and this forced them to make good use of their space. They had to rely on other means to keep themselves warm – means, I might add, that we could do well to emulate today. I’ve spent a lot of time in Mexico, and the average family there doesn’t have any sort of heating in their home. While this isn’t a big deal in southern Mexico, I can guarantee you that it is in the northern part of the country during January and February. So, what do they do without heating? They do the same things our pioneering ancestors did. Adjust to the cold so you don’t get such a shock. One of the most amazing things they did in that time, which we would never think of doing, was to become accustomed to the cold. The human body has an amazing capacity to adjust to its environment, and this allows people to live in just about any climate. We can adjust to changes in climate and temperature better than just about any other species on Earth. Have you ever seen the videos of Admiral Byrd’s Antarctic expedition running around outside all but naked? They were doing that so their bodies could absorb sunlight so that their skin could produce vitamin D, and they were doing so in temperatures that hovered about 50 degrees below zero! We tend to keep our homes at about 75°F all year round, but we can live comfortably at much warmer and cooler temperatures. I normally don’t turn the heat on in my home until it gets down to the 50s inside. Instead, I just adjust to the cold and allow my body to produce the heat that I need. Dress in layers to convserve heat. 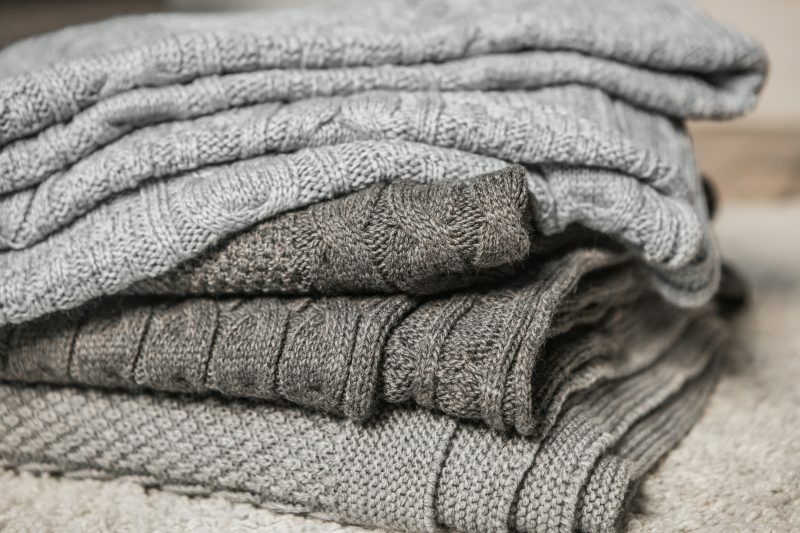 Hand-in-hand with adjusting to the cold is dressing for the cold. If you want to wear jeans and T-shirts in the middle of a snowstorm, you’re going to be cold. It makes a whole lot more sense to add layers of clothing to help hold our body heat in so we don’t get cold. The advantage of wearing layers over wearing a ski parka is that you can take layers off and put them on as the day warms up and cools down, or as you become more active and generate more heat. If you’re outdoors splitting firewood, your body is going to generate a lot of heat. You may be just fine in shirtsleeves even if it’s snowing; but once you stop, you’ll need to put a coat on or you’ll get cold quickly. One of the problems we have with this today is that much of our clothing sacrifices practicality for fashion, especially women’s clothing. So if you’re going to keep warm, I’d suggest ignoring fashion for something more practical. Good luck getting your teenage daughter to go along with that one though. Few people realize it, but snow is a great insulator. I did an article a couple of months back about the igloo. Know, like ice, holds a constant temperature of 32°F. If the ambient air temperature is below freezing, it would actually be warmer to be buried in the snow than to be standing on top of it. With that in mind, one of the great “life hacks” that our pioneering ancestors did was to pile snow against the sides of their log cabins. The snow acted as insulation and helped to keep the inside of their cabins warm. That one step did a lot to keep the warmth from their fireplaces inside their homes. The snow also helped to block the wind if there was anyplace that wasn’t well chinked. We can do this today even easier than they could back then. The key is to start once there’s enough snow on the ground to use rather than waiting until it drops to 20 below zero. If you gradually start piling snow against the sides of your house as soon as the winter is cold enough that the snow won’t melt, by the time it gets really bad you can have it piled up seven or eight feet high, which will help to keep your home toasty warm. Pile on the blankets to keep warm. Even with banking snow and wearing lots of layers, the average pioneering family’s home wasn’t all that warm. One of the reasons the children usually slept in the loft was that it was warmer there because heat rises. But mom and dad were on the ground floor, either under the loft or in a separate room. To keep warm in bed they’d need to pile on the blankets. The more the merrier. Pioneering families didn’t get rid of blankets when they wore out; they just patched over them and kept on using them. Little by little, they’d end up with more and more blankets to pile on their beds in the winter and help them to keep warm. Blankets weren’t the only thing they used. Before climbing in between the sheets, they’d slip a bed warmer in there. 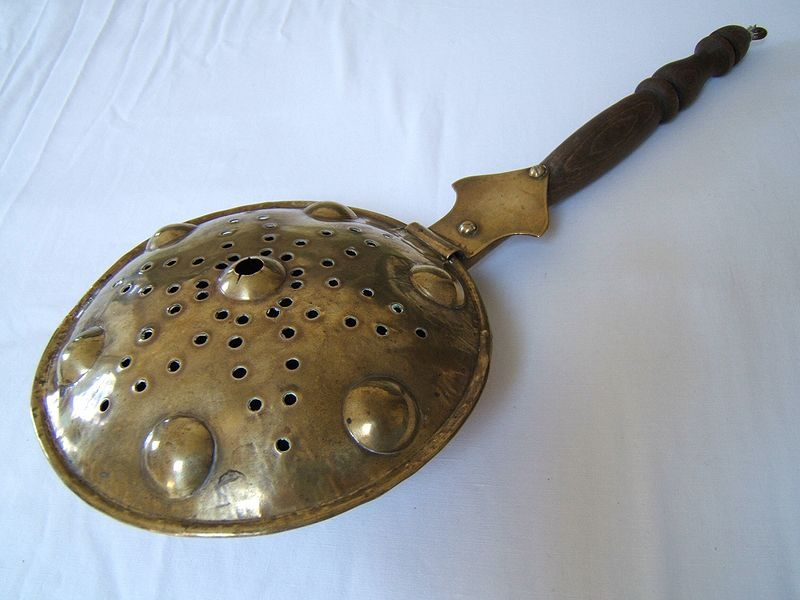 A bed warmer was a copper pan with a long handle on it. It was heated by putting hot rocks inside that had been heated in the coals of the fire (not the coals themselves). The rocks would stay warm long enough to allow the same bed warmer to be used to warm several beds. If they didn’t have a copper bed warmer, the same thing could be done with a soapstone. Many people had a soapstone, which they would heat in the coals of the fire and put under the wagon’s seat with a blanket over their laps to help keep warm. Some churches had family pews that were boxed in so that the soapstone could be put under the pew with a blanket over everyone’s laps to help keep warm. Finally, they would keep warm by sharing body heat. The old image of all the kids sleeping in one bed wasn’t just because the family couldn’t afford more beds, but also as a means of keeping warm. While siblings might not want to cuddle together to keep warm, even being in the same bed together would go a long way towards sharing body heat. For those who had so many in the bed that they had to snuggle together, sleep time was toasty warm.